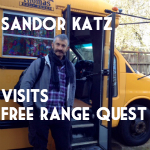 ← Sandor Katz visits Free Range Quest! 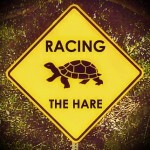 We have rain, freezing temperatures, and back-to-back illnesses — but we persevere! Luckily, we have ALFie’s mini cube fireplace to keep us warm while we continue to rehab our 1999 diesel GMC bus into the perfect rolling cabin. 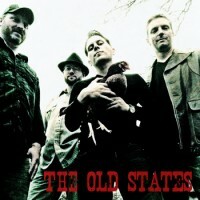 There are several other things on the list, but those are the biggies. Below are a few weekend shots of the beginning of the installation of our framing for the kitchen counter and kitchen storage cabinets. Beneath the kitchen countertop will be the sink/plumbing, storage, refrigerator, a fermentation station (! ), water pump and on-demand water heater — It’ll be a tight squeeze! I can’t wait to start cooking all the mini, on-the-go, hearty, and delicious recipes I have been creating for our travels! Here’s hoping that when we are all packed and ready to begin the first of our journeys we can still fit in our little solar fridge. The fridge we chose is the most energy efficient, but also the largest (and most expensive) of the travel-ready fridge/freezer combos. The fridge wont be installed until after all of our solar power is hooked up, so we still have time to play Tetris with a few items in ALFie’s interior and do a little research to see if there are any other options for keeping items chilled on the road with the smallest physical and environmental footprint we can find. You can see AWESOME renderings of what our tiny little rolling cabin will look like upon completion HERE!